Snapdeal’s sorry saga has now reached the office of the Prime Minister of India. A group of anonymous Snapdeal employees have written about their grievances to a host of high ranking officials, including the Prime Minister of India, the leader of opposition and the commerce Minister. They allege that Kunal Bahl and Rohit Bansal did not let Snapdeal’s merger with Flipkart go through for personal reasons. The letter, was reviewed by Moneycontrol, also says that the founders’ ambitious Snapdeal 2.0 plan was unlikely to work. “We are the employees of Snapdeal and we are writing to you to draw your attention to the grave injustice being met out to us to protect the interests of the CEO and COO of the company,” the letter begins. The letter then urges the authorities to stop the destruction of the livelihoods of 40,000 people, and calls for an independent inquiry into Snapdeal. The letter also hints at impropriety by the two founders. It says that one of the founders overruled the due diligence of Go Javas, a Snapdeal subsidiary which has been mired in controversy, and alleged that the relatives of the founders were sellers on the platform and benefiting from it. 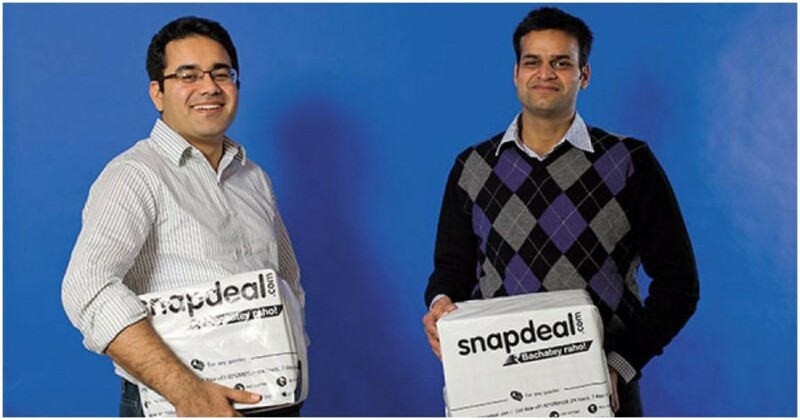 It also alleged that the founders’ friends were running third-party agreements with Snapdeal with guaranteed returns. “There is another question — are you scared of something? Something that a change in management would have found out like sweetheart deals or the hundred million dollar hole in the balance sheet,” the letter asked the founders. It was also cced to several enforcement bodies, including the CBI, the Enforcement Directorate, and the Central Vigilance Commission. Snapdeal dismissed the claims in the letter. “The company cannot comment on baseless, unsubstantiated allegations made by unidentified sources,” a Snapdeal spokesperson told Moneycontrol. The letter is written by anonymous sources, and provides no proof for the allegations it makes. But it does appear that Snapdeal’s employees, particularly the senior management, are skeptical about Snapdeal 2.0. As many as seven Snapdeal VPs have quit since it was announced, including its VP of Engineering, Program Management and Data Platform. Even before Snapdeal 2.0, other senior executives had shown little faith in how Snapdeal was doing — in May, its former AVP of Engineering had said its shares were only good for selling bhelpuri. Even some of Snapdeal’s investors haven’t shown faith in the new plan — Kalaari Capital’s Vani Kola had said that the decision to end sales talks with Flipkart was not in the best interest of its employees or its investors.